Trina Solar Limited ("Trina Solar" or the "Company"), a leading total solutions provider for solar energy, recently released its 2017 Corporate Social Responsibility (CSR) Report. The report elaborates on Trina Solar's ideas, strategies and concrete practices in relation to corporate social responsibility in 2017, covering all factories and operating business units which were under the management control of Trina Solar. It consolidates the reporting on the economy, environment, supply chain, people and community. The current CSR report has released that Trina Solar supports and takes actions to achieve the United Nations Sustainable Development Goals (SDGs). Trina Solar has achieved 'zero' carbon emissions for operations in China since 2016. In 2016 and 2017, the solar power stations owned by Trina Solar in China contributed an additional 1.1 billion kWh of clean solar power to the world, reducing CO2 emissions by approximately 900,000 tons. In the four years from 2014 to 2017, Trina Solar collected a total of 12 million tons of industrial wastewater and produced and reused 7.6 million tons of new-water (or recycled water), which could meet the annual water consumption for 41,500 households in China. Trina Solar also pays attention to the social responsibility of its global suppliers and partners. The company continuously reduces carbon emissions in its supply chain by promoting the optimization of packaging methods, transportation modes, and increasing local supply of products and raw materials, so as to jointly promote sustainable development of the photovoltaic industry. Trina Solar works together with partners to bring long-term benefits to local communities through investing in education, promoting public welfare and implementing volunteer programs. Trina Solar has compiled and issued CSR reports since 2011, and the previous report was published and issued in August 2017. The company refers to Global Reporting Initiative Sustainability Reporting Standards (GRI Standards) to compile the CSR report every year. The GRI Standards are the first and most widely adopted global standards for sustainability reporting. In 2017, Trina Solar was granted a Gold Recognition Level in Ecovadis' 2017 CSR assessment, a global supplier sustainability rating organization. The award of Gold Recognition Level in EcoVadis' CSR assessment demonstrates Trina Solar's commitment to promoting sustainable development. "We believe that beautiful tomorrow comes from our joint efforts of today. Our commitment to corporate social responsibility remains as strong as ever. We will integrate our efforts and practices into the collaborative partnership towards the UN's sustainable development goals. We will make our unremitting efforts to forge ahead for a better and sustainable future," said Gao Jifan, Chairman, and CEO of Trina Solar. 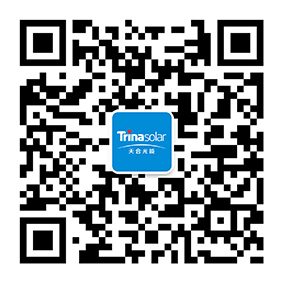 The report is written in both Chinese and English and is retrievable on the company’s official website (www.trinasolar.com). Trina Solar is a leading global total solutions provider for solar energy. Founded in 1997, Trina Solar develops proprietary smart PV solutions for large power stations as well as commercial and residential solutions, energy storage systems and photovoltaic modules. As the world's leading provider of integrated solar energy solutions, Trina Solar has taken the lead in evolving into a brand in the world of energy IoT (internet of things) and is committed to becoming a global leader in this new and emerging sector. For more information, please visit www.trinasolar.com.